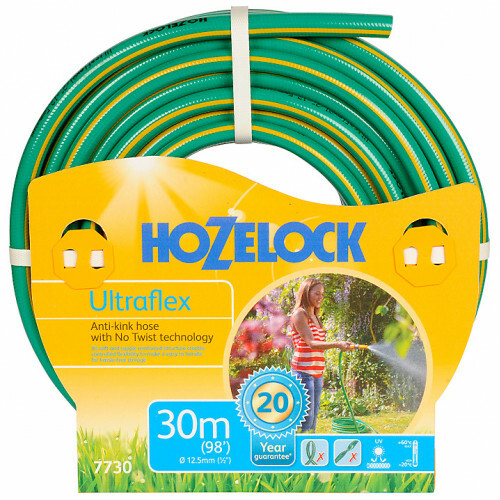 The Hozelock Ultraflex hose with 20 Year Guarantee provides the most flexibility from a hose incorporating anti-kink and no twist technology meaning your hose will never fail to bounce right back into shape and previous tangles will be a thing of the past. A five layer knitted reinforced structure for durability and desired flexibility. The added flexibility allows this hose to easily rewind and manoeuvre for storage.